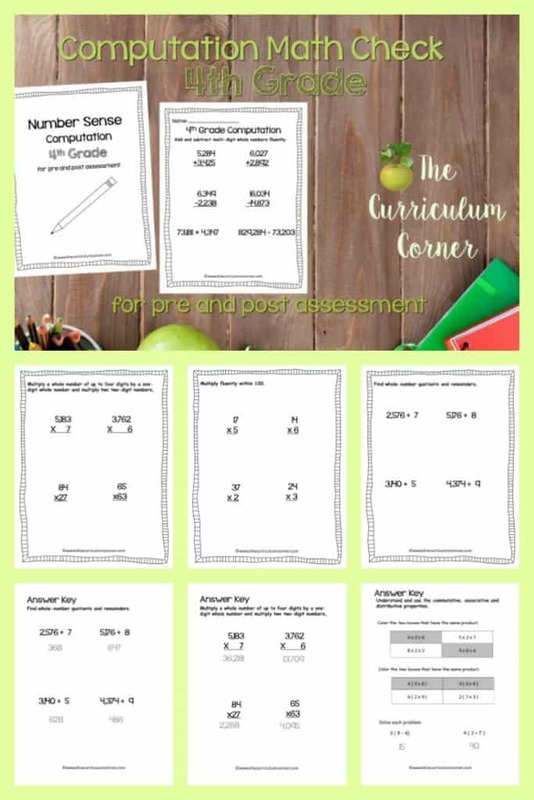 This 4th Grade Computation Math Check is designed to be a pre and post assessment for computation standards in your math classroom. 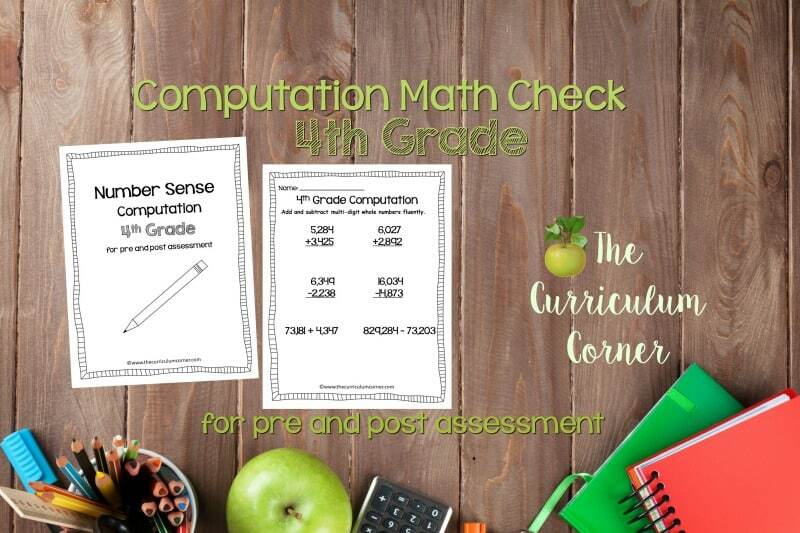 This set of math checks is designed to help you assess fourth grade standards for computation. Because states across the nation have adopted a variety of standards, we have created this assessment without indicator numbers. Our hope is that this will make these assessments materials that can be used regardless of the numbers used on your standards. These assessment pages can be used as pre and post assessment checks to chart growth. You might also use them to check in with your students before a unit test. Use these problems to help guide your teaching at the beginning of a unit or to help you structure your reteaching groups as you progress. You will also find an answer key. You will find problems covering each standard along with the standard listed at the top of the page or section. Add and subtract multi-digit whole numbers fluently. Find whole-number quotients and remainders. Understand and use the commutative, associative and distributive properties. The math check created has been designed to touch upon each of the standards. We do understand for an end of unit test, you will might need a larger, more in depth test. This resource is not that test. Instead, it is a way for you to take a quick feel of your students understanding of the content.